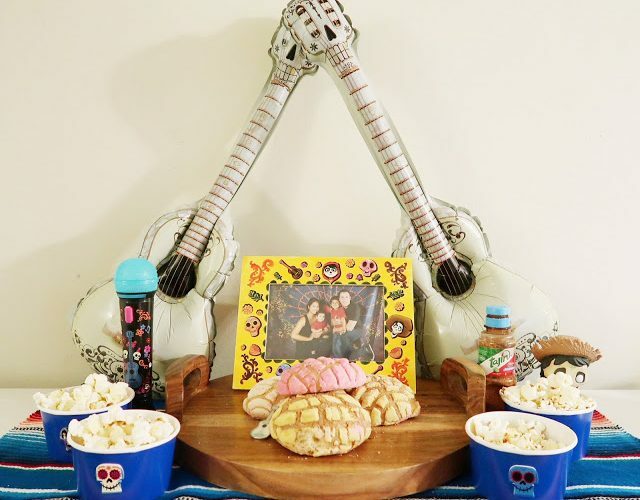 In case you haven’t heard, my family is loco for Disney’s Pixar COCO! 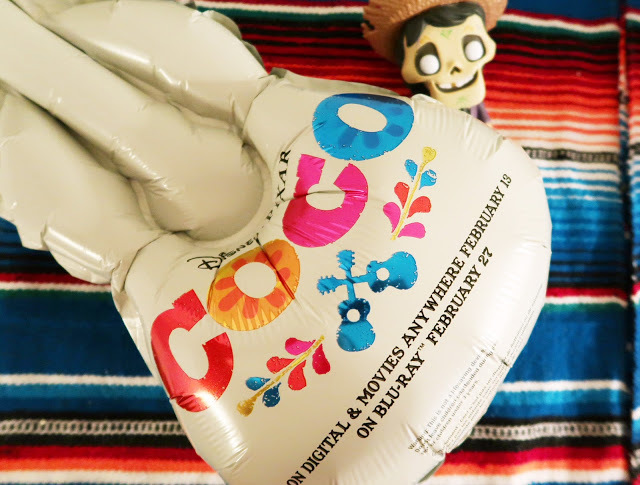 You can read out about the Pixar COCO Family Night we had, before its theater release, here. So in celebration of it’s DVD/Blue-ray release (February 27th. ), we’re having a #PixarCOCO Family Movie Night. The digital copy of Pixar COCO is available now on Movies Anywhere…and no joke its been on repeat in my household. Family Movie Nights mean so much to me because it’s our time as a family to cozy up together on the sofa and enjoy a movie. 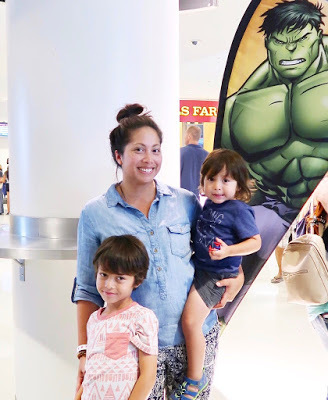 And Pixar COCO is not just any movie, it has become our favorite Disney Pixar film. Because of it, Caiden wants to learn how to play the guitar…we have been researching on beginner guitars + lessons in our area. 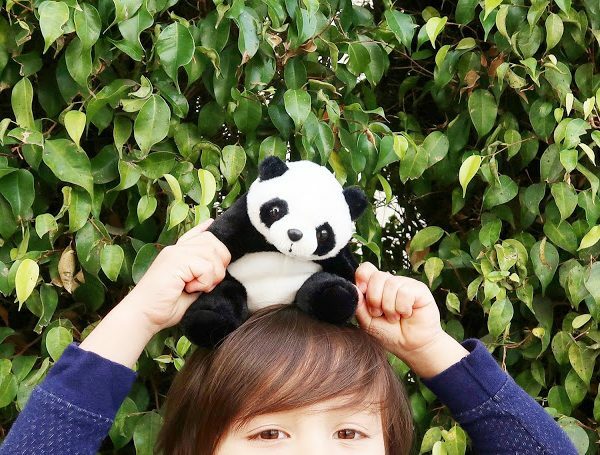 So stay tuned for those posts! 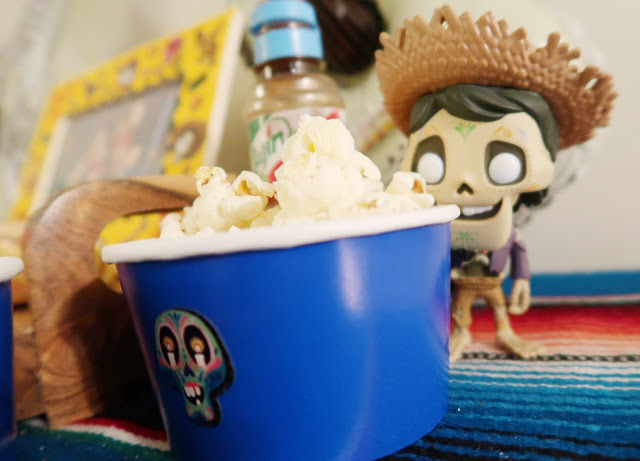 Pixar COCO has one of the best bonus features in my opinion. I love how my boys enjoy watching all the hard work and dedication it took to make this film. It goes beyond the inside look with stories from Pixar animators of Mexican descent to a travelogue through Mexico…and many more! I kept snacks very simple with popcorn (sprinkled with Tajin for me) and pan dulces – Mexican pastries to focus on activities. 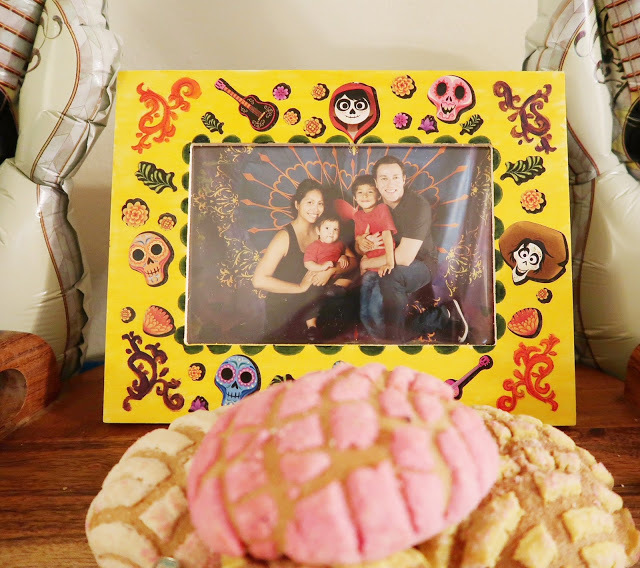 Since frames play a key role in COCO, which was used to display photos of loved ones that have passed, we decorated a frame using the Disney Pixar COCO DIY Frame Set. 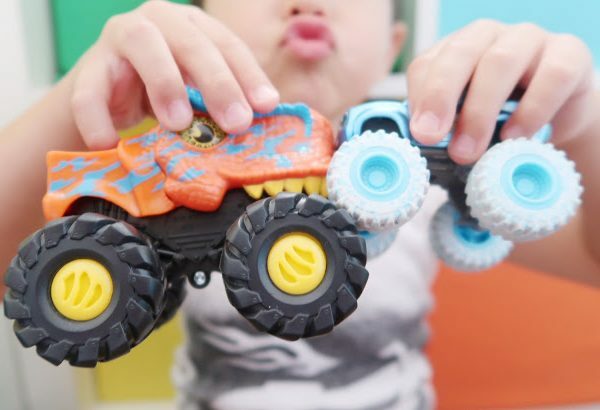 It was fun getting creative with my boys and it also encouraged me to print those photos stuck on my phone! 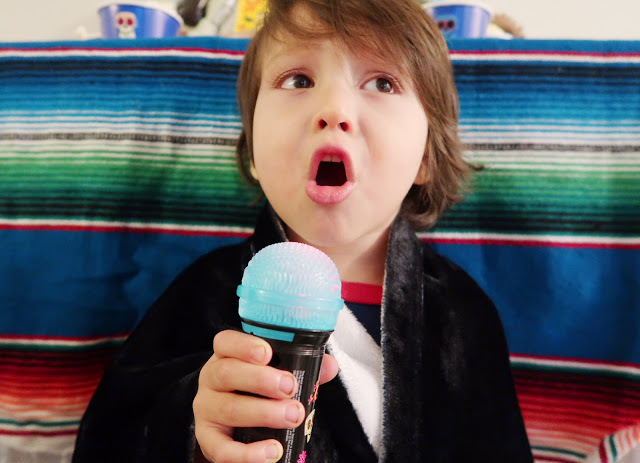 The boys had fun singing “Un Poco Loco” with the Disney Pixar COCO Mp3 Microphone. Yes, they did fight over it but hey…it’s a learning experience. Hope this inspires you to put together a Pixar COCO Family Movie Night!